Bow Lake - Peacefully at rest at the foot of the prominent Crowfoot Mountain, the pristine waters of glacially fed Bow Lake can appear as turquoise as a tropical sea shore. The amalgamation of exceptional surrounding landmarks is the very reason Num-Ti-Jah founder Jimmy Simpson vowed to one day "build a shack here." And the rest... is History. Bow Glacier Falls - This mighty cascade serves as the head of the famous Bow River. Amidst a stunning natural amphitheater, the views are simply overwhelming in every direction. Approximately an hour-and-a-half from Num-Ti-Jah Lodge, site of the trail head, this is a must see for visitors and hikers of all fitness levels and ability. 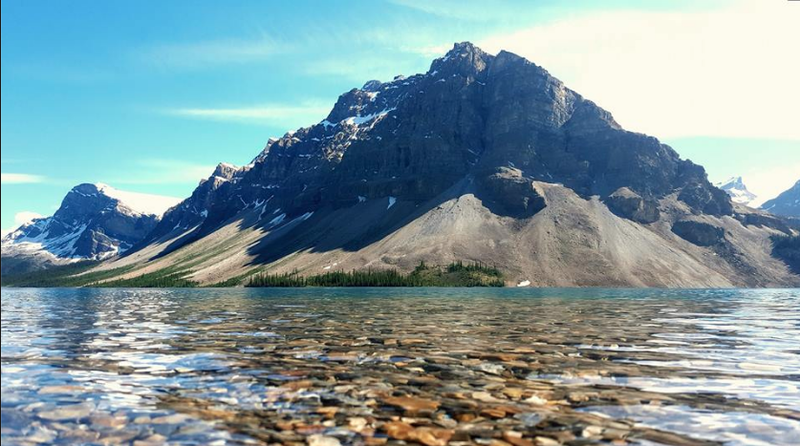 Hiking & Sightseeing - At the heart of the Canadian Rockies, Bow Lake and Num-Ti-Jah Lodge are central to some of the most spectacular and renowned hiking & sightseeing on Earth, with endless opportunity right from our doorstep. 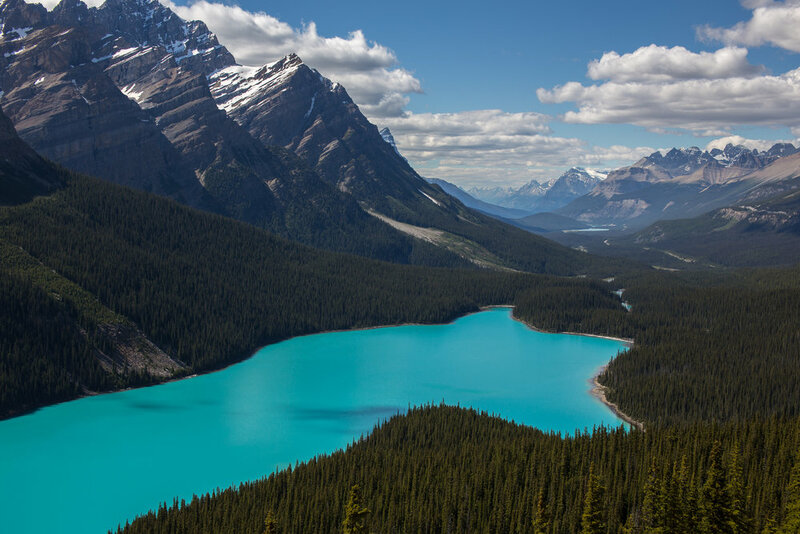 Peyto Lake - Located just 6km North of Simpson's Num-Ti-Jah Lodge on the Icefields Parkway, the viewpoint provides a vast view of Beautiful Peyto Lake and miles of valley beyond. This spot is a favourite for professional photographers and sightseers alike. Wildlife - The Bow Lake area and the Icefields Parkway is host to a wide range of wildlife. In addition to Elk, Goats, Sheep, Deer, Pika and Pine Marten, we also live among a large population of Grizzly Bears and Black Bears. If you plan to visit the Park, we highly recommend you take the time educate yourself on best practices when encountering wildlife. For further information, please contact Parks Canada. Bow Hut - A 4-6 hour hike commencing at Bow Lake, Bow Hut is a popular attraction for ambitious hikers, explorers and mountaineers. It provides comfortable accommodation for up to 30 people at an elevation of 2,350m (7,700ft) above sea level. 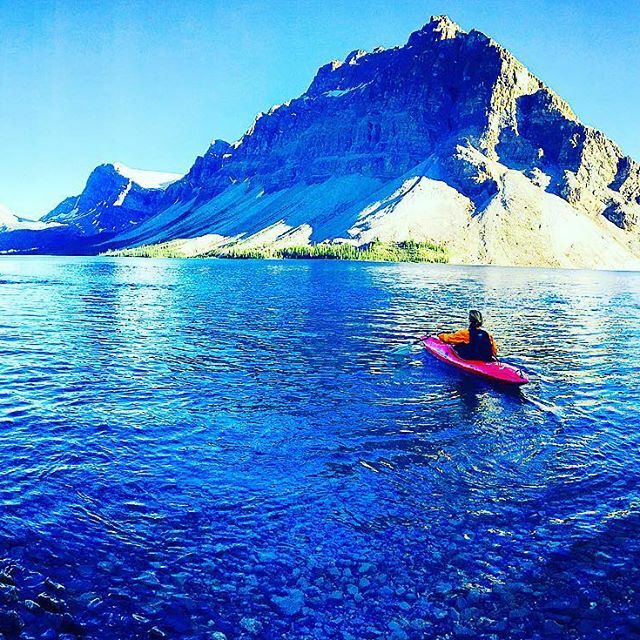 Water Activities - Enjoy Bow Lake to the fullest! While motorized vessels are not permitted, this spot makes for a most peaceful day in a kayak, canoe or on a paddle board. While Num-Ti-Jah Lodge does not provide watercraft rental, feel free to bring your own. Be sure to pay close attention to weather reports and take all safety precautions possible before taking to the water. Fishing - Fishing is permitted seasonally with a National Parks Fishing Permit and is currently catch & release only. Bow Lake is home to a variety of trout and whitefish. Permits and regulations are available in The Trading Post! For further information, please click the link below to contact Parks Canada.